It's been quite cold in NYC lately, and I've mostly been sipping on roasted, darker teas. But this blustery weather also has me craving something deeply vegetal, fresh, and sweet. 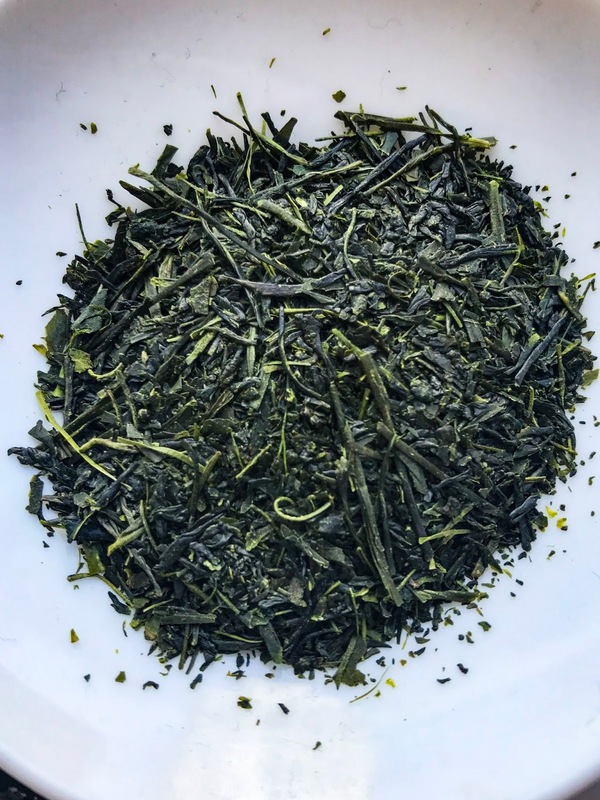 Cue this beautiful Fukamushi Sencha from Ocha & Co., which entered my life at just the right time. 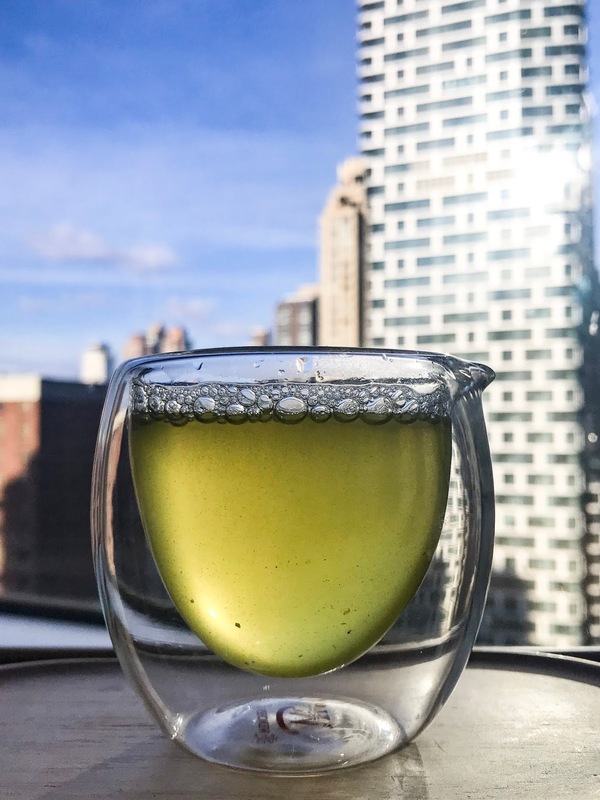 Ocha & Co. is an online business focusing on selling the freshest Japanese tea possible. 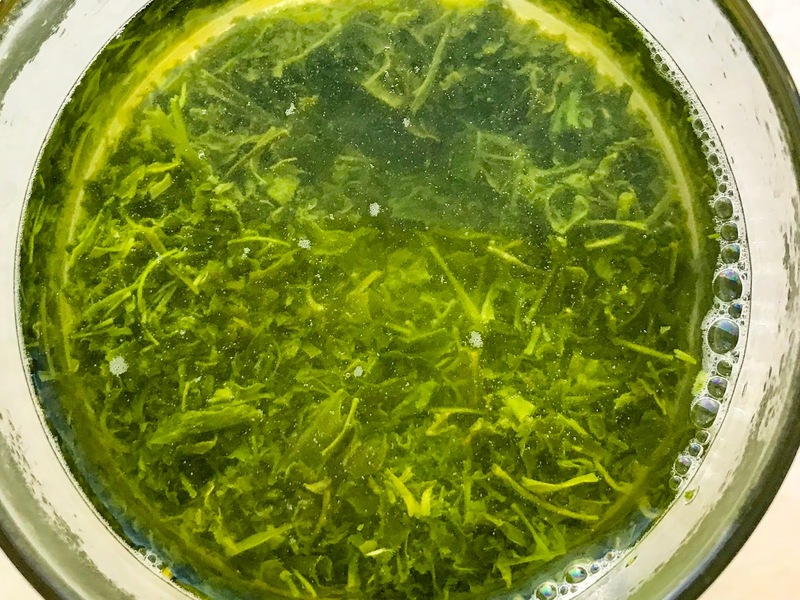 Based in Japan, the company procures their teas on a weekly basis so customers from around the world will receive their teas shortly after they've been processed. The company recently reached out to me to try a few samples, and I decided to start with the Fukamushi Sencha as this is also part of a holiday giveaway we are hosting together (be sure to check it out!). Japanese green teas can be tricky for me- sometimes they upset my stomach, and if they aren't prepared correctly (which happens much too often in restaurants), they can be bitter and almost undrinkable. 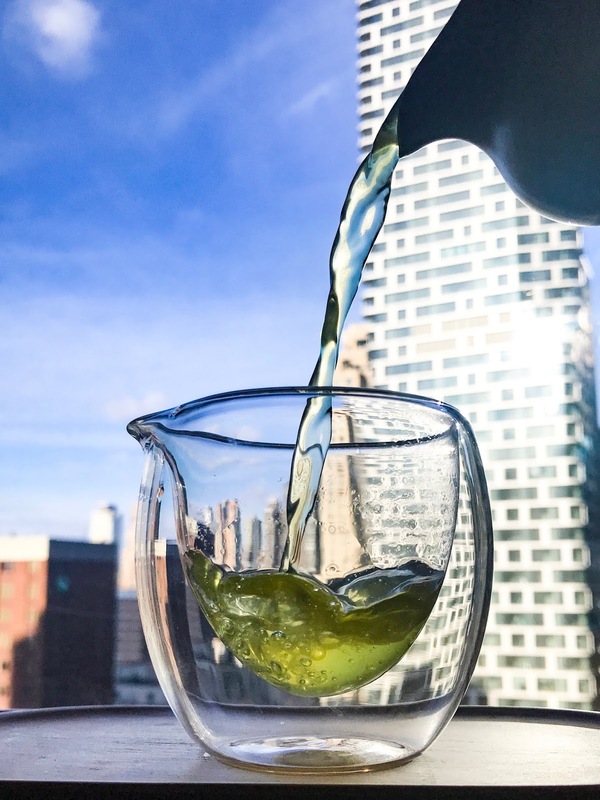 But when it's prepared carefully, sencha can be a symphony of greenness (is that a thing? Well, it is now). The steaming process is twice as long as usual, breaks down the structure of the leaf, releasing valuable healthy nutrients and bioactives such as beta-carotene and Vitamin E into the brew. The dry leaves are a rich, deep green. The flat, needle-like leaves are soft and delicate. The scent of these leaves are certain to help cure the wintertime blues. Sweet fresh green peas, tender baby spinach, and spring grass after a soaking rain. The brewed tea is a vibrant green, with lots of little dark green bits. The liquor tastes as deeply steamed as the name implies. It tastes as if I took the freshest baby spinach I could find and steamed it until it was thick and concentrated. Not a crispy leaf to be found, just lush, soothing greenness (a symphony of it, shall we say?). There is a savory hint to the brew, as if I added a dash of soy sauce to the greens. I prepared this tea in a glass teapot outfitted with a very fine mesh strainer, similar to a kyusu teapot. This tea needs short steeps, and water no hotter than 185° (I prefer using closer to 170°). You can certainly use a gaiwan, but I'd recommend pouring through a strainer if you don't want to have bits of broken leaf in the brew. This is a good tea for the morning or early afternoon; it's mild in flavor but complex. If you are intrigued by this tea, please be sure to enter the giveaway I'm hosting with Ocha & Co.! You can win a 100g packet of this tea, as well as a beautiful Tokonameyaki teapot. Thank you to Ocha & Co. for this tea, I greatly enjoyed it. To learn more about this tea, please visit the Ocha & Co. website.